Never far from the headlines in the crypto-sphere, Mike Novogratz of Galaxy Digital is raising $250 million to support crypto businesses. According to Business Insider, the objective of the fund is to assist startup companies in their development and growth during what are currently adverse market conditions. 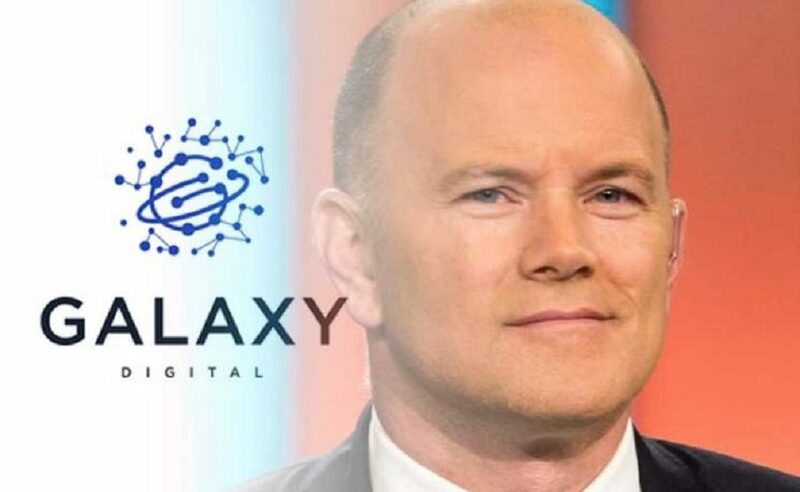 The report has not been confirmed by Galaxy Digital or Novogratz but the publication cite sources close to the company as having a knowledge of the matter. Galaxy Digital is a diversified merchant bank that is focused specifically on the digital assets and blockchain technology industry. Novogratz as Its founder and CEO has a higher public profile than most in the crypto-space, largely as a result of his frequent participation on CNBC shows such as ‘Crypto Trader’. Once the capital is raised, it will be offered to companies in the crypto space. Terms of lending will require that the applicant companies stake cryptocurrency assets, properties and/or cryptocurrency mining equipment as collateral. It is believed that the first round of funding will be closed by March. Galaxy Digital is already in the business of lending capital to crypto startups – albeit through funds available by way of its own balance sheet. It has also invested directly in startups in the sector through sister company, Galaxy Digital Ventures. As an example, last year the company invested $54 million in secured non-bank lender, BlockFi, which accepts crypto-assets as collateral on any loans taken with it. Interestingly, Galaxy Digital will in effect be offering a similar service through its new fund as offered by a company it has recently invested in. It seems that demand from borrowers in the crypto-space is so high right now as to warrant the launch of the fund – according to these sources. Galaxy’s asset management arm will manage the fund. BlockFi’s CEO, Zac Prince, has confirmed that it has seen a 10 fold growth since June. This has motivated the company to plan for the roll-out of additional services in 2019. It’s envisaged that a savings product will be launched in the coming months whereby clients can earn interest on their crypto holdings. Meanwhile, another player in the space – Salt Lending – has emerged with a workforce of 80 people. Business is buoyant resulting in an ongoing hiring policy month on month. There’s no doubt but that the ‘crypto winter’ is fueling the growth in this niche area of the cryptocurrency space. In recent weeks, The Bitcoin Mag reported on a trend emerging in the industry in terms of layoffs. Around that time, decentralized publishing and content distribution platform, Steemit, announced layoffs as part of an overall restructuring of the business. Blockchain technology solutions company, ConsenSys was similarly affected. More recently, ShapeShift suffered a similar fate earlier this month – laying off a third of its staff. It’s nice to see a niche within crypto doing well albeit not so much the underlying reason for that growth. At project level, there is plenty of belief in the technology that is being developed and delivered and on that basis, hopefully this is simply the bridging finance that is needed to tide projects through to weather this bear market storm.